I hope you can see the differences between the two highlighters in the photos. 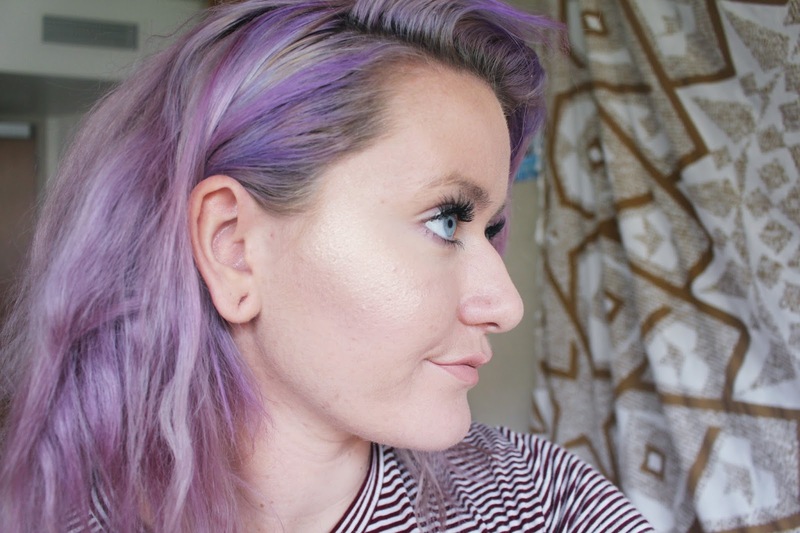 It’s very difficult to get a really defined picture of the highlight because I cannot stand to have make-up unblended on my skin! 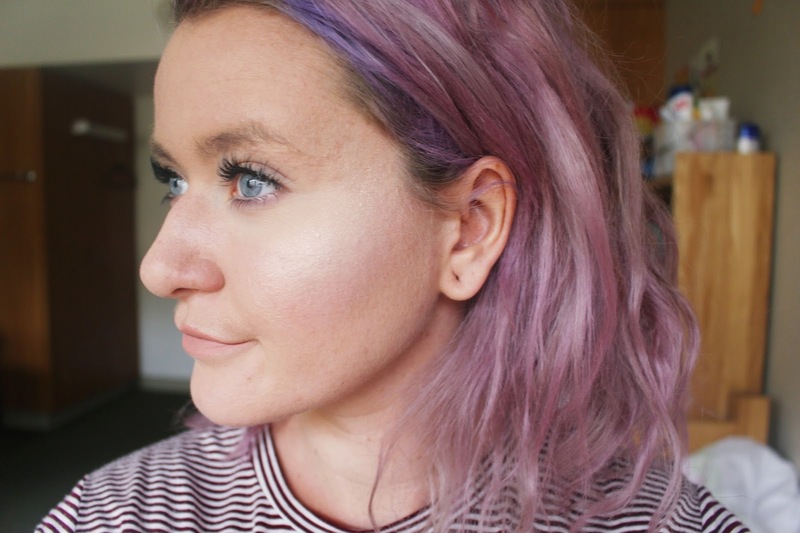 The main difference between the MAC and Becca highlight are the colours. 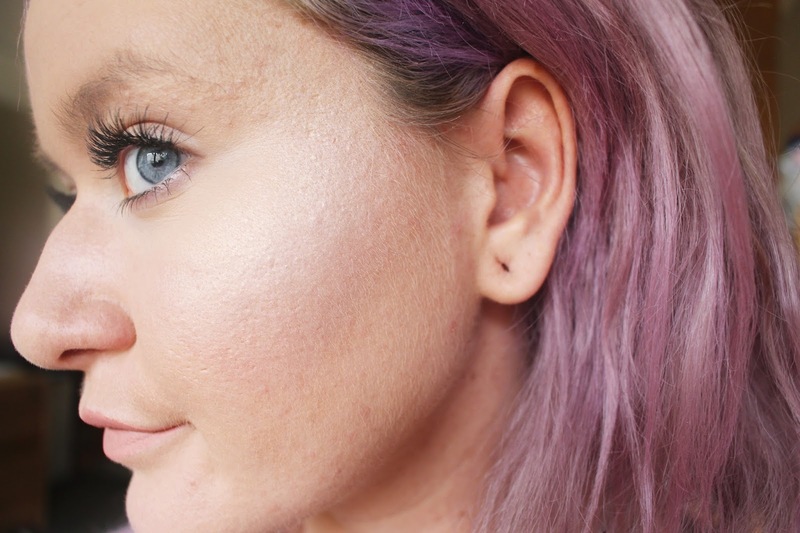 Champagne Pop in a lovely warm golden colour whereas Lightscapade is definitely an icy colour and is more along the lines of what Queen Elsa would wear. At the moment I’ve really been loving Jaclyn Hill’s because of the California weather I’ve been going for more golden tones in my look. 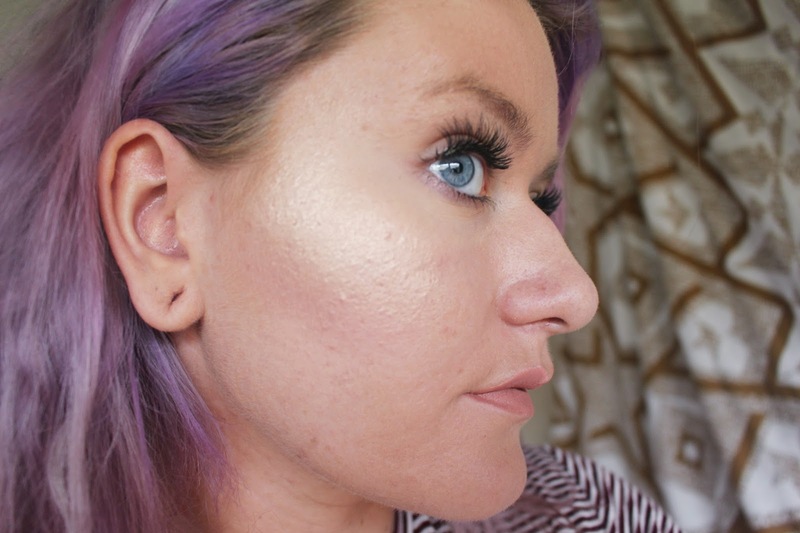 The pigmentation of both is really good but the Jaclyn Hill highlight is more pigmented. I first applied it thinking it would be the same pigmentation as the MAC one but I was so wrong and spent absolutely ages blending it out. However, great pigmentation is fab because then you don’t have to use as much product to get the desired look. 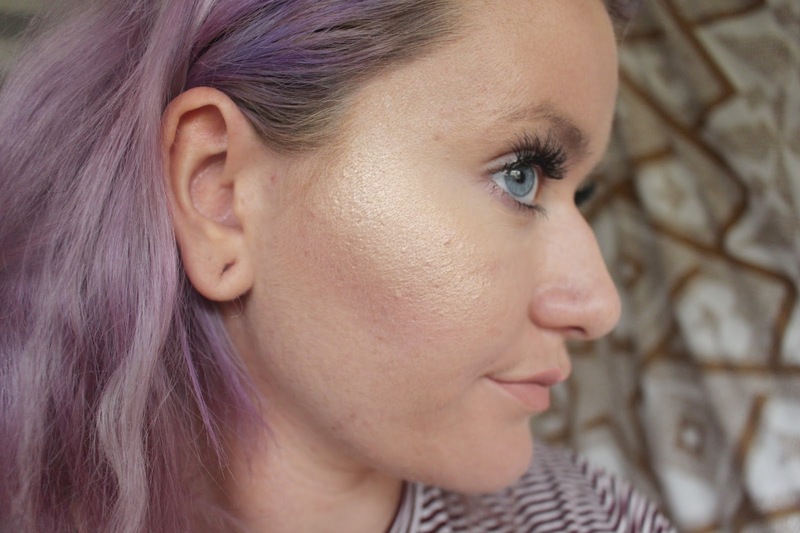 That isn’t to say the pigmentation of the MAC highlighter is bad but I often need two applications if I want the highlight to be noticeable. I think these two highlighters are the only highlighter’s a girl really needs. Jaclyn for summer, MAC for winter. Apart from, in California it’s always summer so I think I’ll be repurchasing the Jaclyn Hill one more frequently than the MAC one! What do you guys think of these two? Do you have a preference? Any highlight recommendations?